When the sun shines and the summer heat is at its best, is there anything more stereotypically British than splashing around in the sea during a day on the beach? Every summer we pack our windbreaks, mini-tents, blankets, swimming costumes and towels. We prepare a picnic, we grab any buckets and spades we may have lying around and we head out on a mission to have a wonderful day on the beach before the sun goes again. Instead of doing all that, we suggest you remove the stress with a stay at The Belmont. 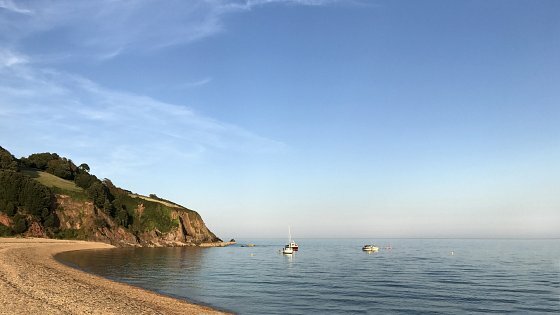 Aside from being directly opposite the Sidmouth beach, we are within driving distance of the best swimming beaches in South Devon. 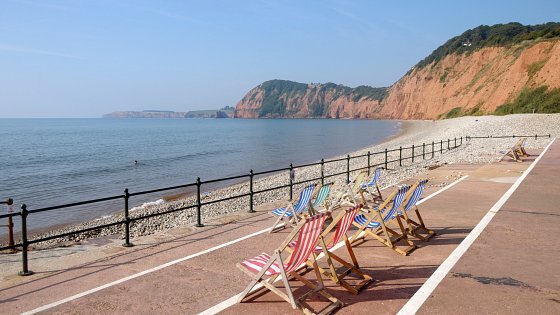 Starting on our doorstep, there are two beaches in Sidmouth to tell you about. Both Town Beach and Jacob’s Ladder Beach are a mixture of sand and shingle, that are best enjoyed when the tide is out. As the water retreats it reveals pure red sand to walk over, with the red cliffs making a stunning backdrop. Whilst the shingles beach may not initially appeal, Sidmouth usually has calm seas with little surf, thanks to groynes along the shoreline. This means that when the weather calls for it a gentle dip in the sea is a relaxing experience - and a must do. Then it’s back to the hotel to get the sand from off your feet. Within easy reach from Plymouth, about an hours drive from The Belmont, Bovisand is a sheltered bay with golden sands that span a large area, where low rise cliffs around the bay allow all-day sunshine. Warm waters lap the shore as the gentle slope into the sea is shallow and ideal for swimmers of all ages. The car park (just £2) is a five-minute walk to the beach, but a steep descent might make getting to the beach less than ideal for those with mobility issues. There’s a cafe too, with toilets. With scenic views, shallow waters and beautiful picnic spots, this is a beach that is ideal for swimmers. Also, the surrounding area is a lovely place to explore on foot and walk yourself dry. Another must add to the best swimming beaches in South Devon list is this hugely popular spot for avid sea swimmers. Ness Cove provides superb water quality and shallow waters for paddlers. Once popular with smugglers bringing contraband into the country, the bay is accessed by the intriguing Smuggler’s Tunnel. Just be careful with your footing, as the steps down to the beach can be slippery. Although there is no lifeguard service, the waters are clearly marked with buoys so that safe zones are available to swimmers. At high tide most of the beach will be submerged - ideal for diving straight in and avoiding longer walks to reach the water. 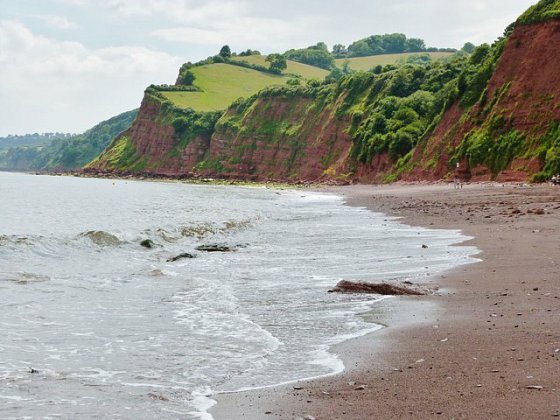 This beach is a great choice for a sunny day, and less busy than nearby Teignmouth. For convenience, there is a café with toilets and also deckchair hire. The north end of Thurlestone Beach holds five stars for water quality and is an excellent choice for swimmers and bathers. Offshore you will find a host of water sports enthusiasts, from swimmers to surfers to divers. Technically two beaches, whichever spot you pick the facilities are very good and there is also disabled access down to the sand. There is a café and a shop, as well as easy-access toilets. 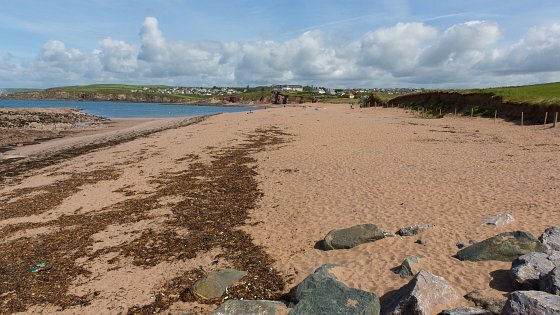 Thurlestone Beach has several rock pools, which are ideal for crabbing, and the golden sandy beach is great for sunbathers and for building sandcastles between splashing in the sea. 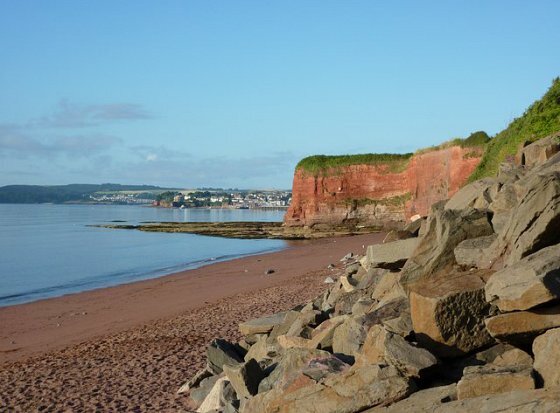 Nested between Paignton and Torquay, Hollicombe Beach is a stretch of beautiful, red sand coastline in a sheltered spot, making it great for swimmers and sunbathers. The nearest toilets are ten minutes down the coastal path in nearby Paignton and the beach is a fair walk from the car park, but this really is a worthwhile beach to visit, not least because of its beautiful vista and warm waters. Plus, think of the views you’ll enjoy when strolling to and from the sand in the heart of the English Riviera! Blackpool Sands is a beautiful pebble beach that is very popular with families. It’s a Blue Flag Award-winning beach, wonderfully backed by evergreens and scented pines, which give it a Mediterranean feel. It’s also privately managed to a very high standard, making it one of the most popular family beaches in the region. 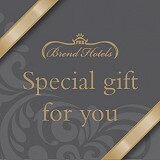 The facilities are fantastic and access from the car park to the beach is easy to manage. There is a café, shop and toilets near the entrance to the beach and there are lifeguards on duty in the summer months. Being a Blue Flag beach, water quality here is to the highest of standards. We recommend hiring a snorkel or wetsuit through the shop, to truly emerge yourself under the clear waves. Tell us which South Devon beaches you love to swim at through our Facebook or Twitter page.